Before we leave California, I wanted specially to mention the two famous Goodall women--Helen and daughter Ella. 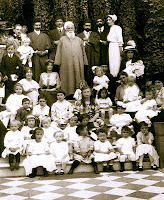 Last year I wrote: "Yesterday I was in the Baha'i National Archives. Exhausted from working on the film in Chicago and Wilmette for two days, I sat in a daze, wondering what I could do in a half hour in the Archives. Kind Lewis Walker brought me the box of Goodall papers, and as I looked into three or four folders, I was astonished at the notes--mostly typewritten on thin sheets of yellowed paper--penciled with additions and corrections. "The night before Charleen Maghzi (coincidentally at the House of Worship) had marveled to me about the details Ella had preserved--which helped, of course, with Mahmud's inaccuracies." 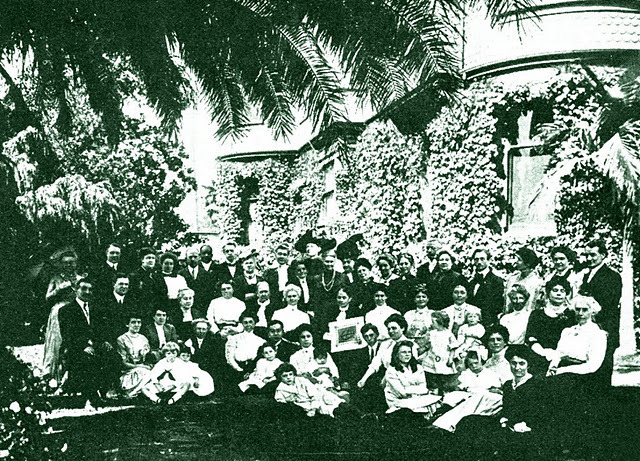 and of course, Ramona Allen Brown's Memories of 'Abdu'l-Bahá: Recollections of the Early Days of the Baha'i Faith in California is an excellent source. . . . I feel as if I have only touched lightly on the soil of the Master's visit to California and know little about the two courageous, generous, and extraordinary Goodall women. So many others, especially Charleen, are aware of the details and nuances of the California days. Perhaps they will offer comments and additions to the blog postings! Below, a story, found on-line. samovar, where one of the young maidservants, sitting on the floor before it, was brewing the tea.